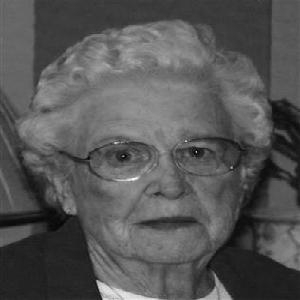 LAWN: Cora Beth Lander, 89, passed away on Sunday, September 6, 2015 in Brownwood. A funeral service will be held at 4:00pm Wednesday, September 9, 2015 at the Lawn Church of Christ, officiated by Mike Hardaway, directed by Fry~Smith Funeral Home, Tuscola. A visitation was held on Tuesday at the funeral home. Cora Beth was born to William Carl and Mamie Elizabeth (Tomlinson) Reams on March 20, 1926 in Hatchel, Texas. She graduated from Ballinger High School. She married Lester "Speck" Landers on December 21, 1950. They welcomed three children into their household Alvin, Joe, and Allie. Cora Beth worked in the cafeteria for the Jim Ned Elementary School in Lawn for 26 years. Upon retiring from cooking for the kids of the Jim Ned Valley, she became very active in the Lawn Senior Citizens until having to move away for health reasons. Cora Beth enjoyed cooking, sewing, mowing, gardening, and spending time with her family. She especially enjoyed watching and playing with her great grandchildren. She is survived by her daughter Allie Schoen and husband Willie of Brookesmith; Joe Landers and wife Susan (dec. 2006) of Lamesa; and daughter-in-law Karen Kephart Landers Estes; grandchildren Cody Landers, Derek Schoen and wife Heather, Mitsy Paz and husband Matt, Melanie Blakley, Russell Landers, Camilla Glenn, and Ryan Glen, and five great grandchildren Blaze, Blaine, Tucker, Adelyn, and Colson. She was preceded in death by her parents, husband Speck, son Alvin Landers (dec. 2004), brothers Rueben and Brice Reams.